The program began with the aim of equipping informal settlement dwellers with the process of essentials such as finance and legal aspect of availing a formal housing. Families belonging to informal settlements are usually involved in daily wages and have low family income. Consequently, their savings are negligible and makes it difficult to own a formal house in a city. More importantly, understanding the housing market and housing finance becomes difficult for them, not just because of their low education and awareness levels but also because of the complexity of paperwork, legal formalities and compliance requirements involved in purchasing a property. Launched in Jaipur in September, 2016, the program aims at encouraging people towards house ownership through awareness in financial and legal spheres. Apart from various activities such as nukkad nataks (street plays), baseline survey, site visits etc. for housing facilitation, the crux of the program is to make the families aware of their financial status vis-à-vis availing a house and motivating them to manage their finances wisely increasing their likelihood of buying a house. 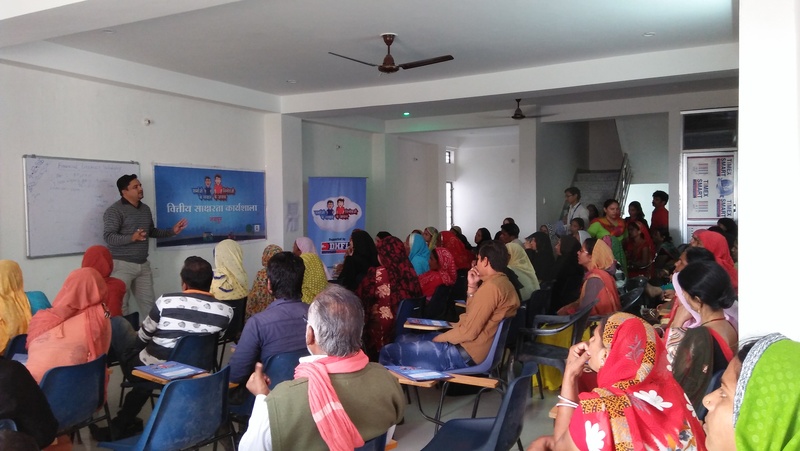 Financial Literacy Program focuses on topics of expenditure, savings, credit, investment, importance of documents in the process of house purchase, and preparation for home loan. In order to achieve the final outcome of buying a house, the families are also supported in linkages for loan, documentation, house selection and any other necessary guidance, support and counselling required for their home moving process. The program is functional in Jaipur (Rajasthan) and Varanasi (Uttar Pradesh). In these two cities, 2,400 people have been linked with different identification documents and services. 166 families have purchased or got constructed affordable houses. It has recently been launched in Ranchi (Jharkhand) and Raipur (Chhattisgarh). Mamta Devi lives in Shastri Nagar with her 2 daughters. The family has been living in a rented house for past 9 years. She is separated from her husband and is working in a garment company earning Rs. 12,000 per month to support her family. She came in our contact during door to door visit by our field worker Ms. Farzana. Mamta said that she doesn’t like the current environment of the local basti where she is living. Hence, she wants to move away from there to give a better environment to her children. She wants to buy a 1BHK house in her own name with a budget of Rs. 6 to 7 Lakh and is ready to pay the advance deposit amount of Rs. 60 to 70 thousand but she had no PAN Card and Bank Account. 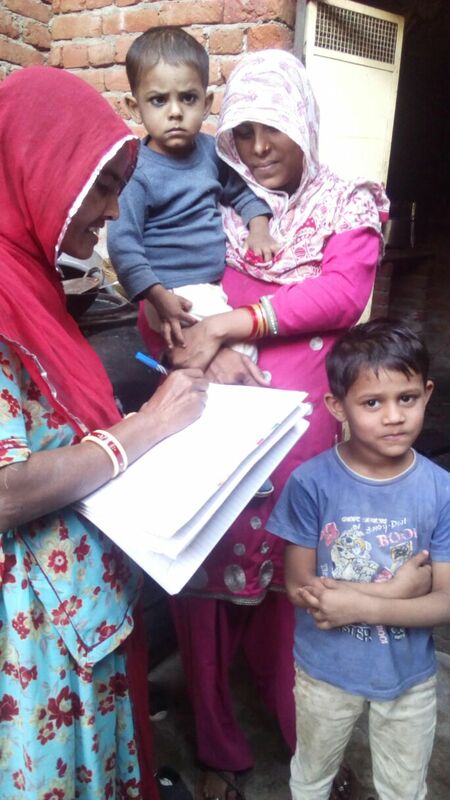 Our team facilitated the applications for PAN Card and opening a savings account in Jan-2017. She received her PAN Card in Feb-17. After that she booked a 1BHK flat at Tonk Road in her budget. We have applied to get government subsidy of Rs. 2.20 lakh for her under Chief Minister Awas Yojna. She is eligible to get subsidy of 2.67 lakh as per new guidelines issued from Central Government regarding the increased limit of subsidy under PMAY. In March, we applied for Aadhar Cards for both her daughters and Bhamashah card for her as well, which have been received by them. Today she is very happy after booking her own house and getting all necessary identification documents and subsidy schemes cards. 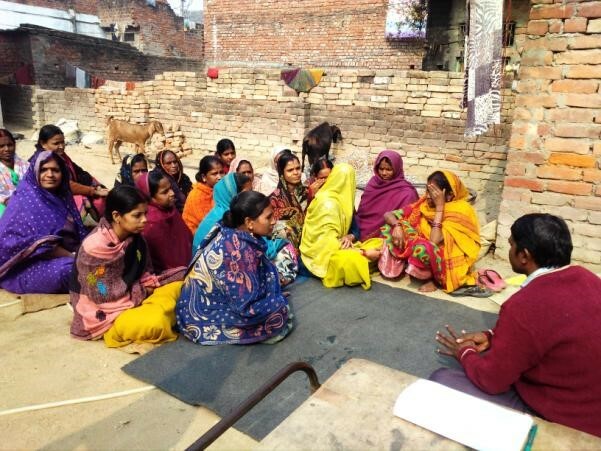 Financial Literacy Program plans to expand the program to other major cities in India with broader scope and help as many people to buy their own house.